Florida’s wrongful death statute allows survivors to recover damages when a family member dies as a result of injuries sustained in an accident. A recent case addressed the issue of whether someone who was not married at the time of the accident, but who was at the time of death, can still bring a claim under the statute. A man lost control of his vehicle when another car swerved in front of him. The car flipped and came to rest in a ditch. The driver was immediately rendered a quadriplegic. He sued the owner of the car that swerved (which was owned by Domino’s Pizza). After the accident, the victim married his girlfriend. The victim died a little over a year later, and his wife continued the lawsuit as the victim’s survivor. The jury rendered a verdict for $10 million in her favor, and Domino’s appealed. On appeal, Domino’s contended the wife couldn’t bring the suit because she was not married to him at the time of the accident. Florida’s wrongful death statute allows survivors to recover damages caused by accidents that result in death. Survivors can be awarded damages such as lost support and services of the decedent, future loss of income, and mental anguish. Florida law defines what a survivor is. A “surviving spouse” can recover the damages named in the wrongful death statute. However, the statute does not define when someone’s status as a survivor must be determined. That was critical in this case because the victim’s wife was not his wife when the accident occurred, only when he died. The court looked to the plain meaning of the statute. The word “survivor,” as it is used commonly, means someone who remains alive after an event has occurred, or one who outlives others. Thus, the court reasoned, a surviving spouse means a spouse who survives longer than the deceased spouse. In this case, the word survivor as used in the statute means that a plaintiff has to be a spouse at the time of the other spouse’s death, hence outliving the other spouse. 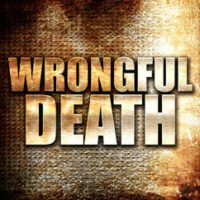 The court cited to other cases that held that facts such as damages are considered under the wrongful death statute as they existed at the time of death, so it would be inconsistent to consider whether someone was a spouse at the time of the accident itself in determining whether someone was a “survivor” under the statute. The court reasoned that accepting the defendant’s argument would mean that children born or adopted after an accident but before the victim’s death would be barred from damages under the statute. If anybody you love has been injured in an accident or you have been a victim, make sure your attorneys know the ins and outs of the laws that may affect your case. Contact the Celeste Law Firm in West Palm Beach today for a free consultation to discuss your accident.